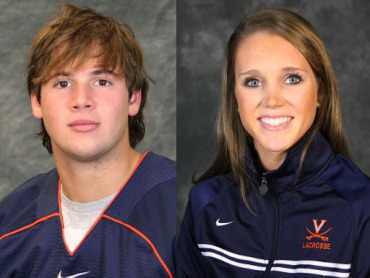 On February 22, 2012, George Huguely, the University of VA lacrosse player who murdered his girlfriend, UVA women’s lacrosse player Yeardley Love, was found guilty of 2nd degree murder and felony theft—robbery. He was facing first degree murder, felony murder and some lesser crimes. Huguely who on the night of May 3, 2010 broke into Love’s apartment and after kicking in the bedroom door, brutally attacked her by hitting her head against the wall. He left leaving Love to die. She died of blunt force trauma to the head. Huguely and Love had an on again off again tumultuous relationship fueled with domestic violence and drinking. Huguely on prior accounts had choked Love and admitted remorse at not killing her in one Email. On May 10, 2010, he made good on his previous promise. The jury recommended a sentence of 26 years—the judge will sentence Huguely in April. The judge cannot increase the jury’s recommendation. Huguely hails from an upper class family in Chevy Chase, MD. He attended a prestigious private school before attending UVA. No doubt that his family background played into the jury’s decision to convict him of 2nd degree, a lesser crime than first degree. First degree carries a lifetime sentence. While Hugely may spend a substantial amount of time in jail for his crime, he will not face life. The jurors, may have subconsciously looked at Huguely and wondered if he could have been their son or brother in similar circumstances. All I know is if Huguely was a minority and from a family of lesser means, he would not be facing a 2nd degree murder sentence. He would have been starring down a 1st degree murder or felony conviction. Race and class play a role in everything in our society. And today from the UVA lacrosse player verdict, it played a role in George Huguely’s fate. He should have been convicted of first degree murder. Premeditation does not require a well thought out plan in advance. The decision to formulate a killing can be as short of time as from when Huguely kicked in Love’s door to when he attacked her. From the blunt force displayed, he came to the decision to kill her and then expressed shock that she had died during his interrogation. His class saved him from experiencing the full justice that was due for Yeardley Love. Has Everyone Now Seen the Post Racial Memo? ESPN also suspended anchor Max Bretos for 30 days after he used the same phrase on-air Wednesday while speaking with Knicks legend Walt Frazier. Bretos apologized on Twitter Saturday, posting, “Wanted 2 apologize 2 all those I have upset. Not done with any racial reference. Despite intention, phrase was inappropriate in this context.” He followed that up with, “My wife is Asian, would never intentionally say anything to disrespect her and that community. 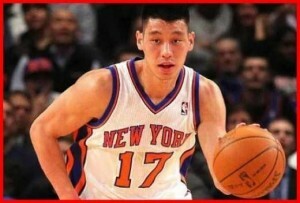 Although he apologized and tweeted that his wife is Asian, he felt that he did nothing disrespectful. It’s amazing that Bretos could state that the phrase was not done with any racial reference. That’s like calling African Americans the “N” word and saying it was not meant with any racial reference. Bretos and Federico are but two examples of how racially insensitive and disrespectful the media is when it comes to covering diversity. And the media is fueled by how the public’s perception of minorities is viewed. The media would think before speaking disrespectful of minorities if they felt there would be a public backlash for their disrespectful comments. And for all those who felt the punishment of firing was too severe, let me remind you to look and read the post racial memo again. For those who still don’t get it, just refrain from calling any minorities a racial name that is not the one used by them. The biggest GOP lie in 2012 is that we need strict voter ID to protect the vote in November, 2012. There has been no source that even remotely suggests that dead people are voting or people are voting more than once or impersonating other voters. Somehow the Republicans have won the battle in the minds of many Americans that voter ID is a good idea. With 25% of African Americans in lack of appropriate photo identification, 18% of seniors lacking appropriate ID and 1 in 5 students without a driver’s license, many will be disenfranchised by new laws that are unnecessary and based on the goal to disenfranchise the poor, African Americans, senior citizens and the youth vote. Five years ago today, on a cold winter day, President Obama came to Springfield, Illinois to announce that he was entering the improbable quest for President of the US—at the symbolic place where President Abraham Lincoln lived. Five years later, no one could have guessed the turn the country would take with President Obama’s election. Five years ago, most people did not even think President Obama stood a chance of winning the Democratic nomination—let alone the office of President. He’s changed since 5 years ago and we as a country have changed. But, as Clint Eastwood said in the Chrysler Super Bowl ad, America is at half time. Jobs are returning and General Motor is alive. And our hope should not die, in spite of the GOP backlash against President Obama and America. 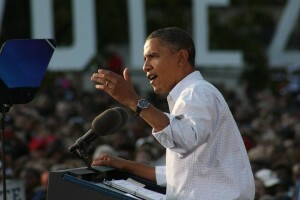 President Obama says today that if you stick with him, he will finish what he started. 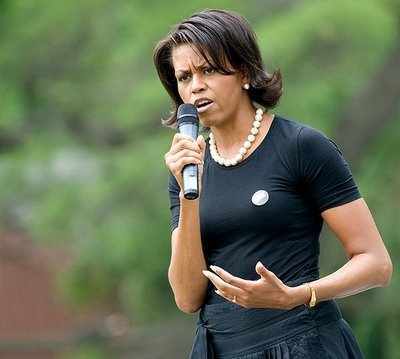 What’s Up with First Lady Michelle Obama and Let’s Move? First Lady Michelle Obama has been seen recently making TV appearances doing push- ups on the Ellen DeGeneres Show, exercising with Late Night’s Jimmy Fallon at the White House and feeding vegetables to a reluctant Jay Leno as her Let’s Move initiative turns 2 years old this week. Like many First Ladies before her—Laura Bush with her reading initiative, Nancy Regan with her Just Say No to Drugs, First Lady Michelle Obama has carved out her own special brand in promoting healthy eating to combat childhood obesity. Mrs. Obama and her Let’s Move Initiative are waging a battle against childhood obesity that causes many children and teenagers to suffer from debilitating diseases such as high blood pressure and diabetes, normally reserved for older adults. Despite criticism from those who think children should be able to eat whatever they choose and whenever they choose without any regard for their health, childhood obesity has become a national security issue. More than one quarter of our nation’s 17-24 year olds are now too overweight to serve in the US military. Of those who are able to join the military, the Department of Defense spends over one billion per year on medical care related to excess weight and obesity. This week, in celebration of Let’s Move 2 year anniversary, First Lady Michelle Obama travels to Iowa, where a move is affront to make Iowa the healthiest state in the country by 2016. Combining her love of supporting military families, First Lady Obama visits the Little Rock Air Force base where the Air Force is part of a special pilot that will improve the nutrition of food served throughout military bases. She will also hit Texas and its Dallas Independent School District – a national leader in making healthy changes for its students. Combining faith with healthy eating, First Lady Obama launched Let’s Move: Faith and Communities in November, 2010 to help congregations provide healthy food and exercise activities to their congregations. Commitments from Darden, one of the largest full service restaurants which owns, Olive Garden, Red Lobster, Longhorn Steakhouse and many others, has agreed to make changes to and improve kid’s menus by reducing calories and sodium. In addition to restaurants, chefs across the country are stepping up and signing onto to Chefs Move to Schools, helping to assist in making healthier school meals. It will take years long after Mrs. Obama leaves the White House before the benefits of her Let’s Move program pays off. But her Let’s Move program is catching on—slowly but surely. As our children are our future, the first lady is doing all she can to ensure our children have a brighter future with Let’s Move. CNN’s suspension of Roland Martin following GLAAD’s demand to fire him for his Super Bowl offensive rants on Twitter shows two wrongs don’t make a right. If this were a football game, Roland Martin and GLAAD deserve a penalty for the way each handled the matter. 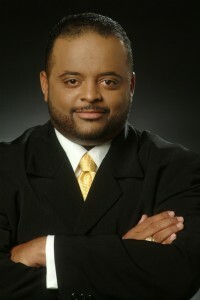 But, Roland Martin does not deserve to be fired from his duties at CNN as political analyst as a result of the tweets. GLAAD issued a statement calling for him to be fired. Roland Martin halfheartedly issued a statement apologizing the day after his comments. I don’t know what Martin was thinking when he wrote the tweet and those following it. In reading many of Martin’s comments on his Twitter account, one has to wonder why he feels the need to comment on practically everything. A lesson for him is to reserve his jokes and comments to his friends and family. If he was joking as he claims, not everyone shares his same sense of humor. Just as many African Americans find racial jokes offensive that are made at their expense, the same holds true for gays and lesbians. And as a political analyst, Martin is scrutinized for offensive remarks more so than if he made rude and offensive comments at a private party. Even comments at a private party get leaked if you are in a high profile job like Roland Martin. Martin as a political analyst should know that everything is political. One has to wonder how much of GLAAD’s demand for CNN to fire Martin is political. Martin works for TV One and appears on the Tom Joyner Morning radio show. GLAAD did not ask for Martin’s resignation from any other news outlet other than CNN. Apparently, GLAAD has been following Martin’s comments regarding gays and lesbians as far back as 2006. Looks like they were waiting for the right moment to nail him. And they found it on Super Bowl Sunday. GLAAD as a gay rights organization should be more concerned about educating on gay rights and anti-gay sentiment and bullying instead of causing controversy. Roland Martin is a well-respected journalist, particularly more so in the African American community where few black journalists reach his stature on national TV. There were other ways GLAAD could have made their point on gay rights and anti-bullying of gays and earned points in the African American community without demanding Martin’s firing. Calling for Roland Martin’s ouster will not help in getting the anti-gay sentiment message to African Americans. And firing Martin on CNN for his offensive tweets will do little to help GLAAD’s cause, unless their cause is more political than we know. Firing a news anchor or analyst should be reserved for the most offensive comments made on air, like those of Don Imus calling the Rutgers all women basketball team—“Nappy headed Hos”. CNN’s former anchor Rick Sanchez was fired for his on air comments about calling Jon Stewart a“bigot”and comments about Jews. Former NPR analyst and now FOX News analyst, Juan Williams was fired for his on air comments of fear of flying with Muslims and his anti- Muslim comments. I agree that Roland Martin should be reprimanded from CNN for his offensive comments. I do not agree that his comments rise to the level of being fired. GLAAD still could use the incident as a teachable moment on gay and lesbian sentiment and anti-bullying of gays, if that is their intention. Roland Martin is already learning a valuable lesson from the moment. He has agreed to meet with GLAAD. CNN has not stated when or if Roland Martin will be back on the air, stating Martin is suspended “for the time being” over his “ regrettable and offensive comments”. Two wrongs don’t make a right. Roland Martin’s offensive tweets were wrong. GLAAD’s handling of the matter was wrong. 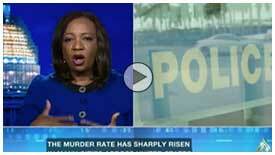 Hopefully, CNN will not make a third wrong in firing Roland Martin or delaying his on air come back.